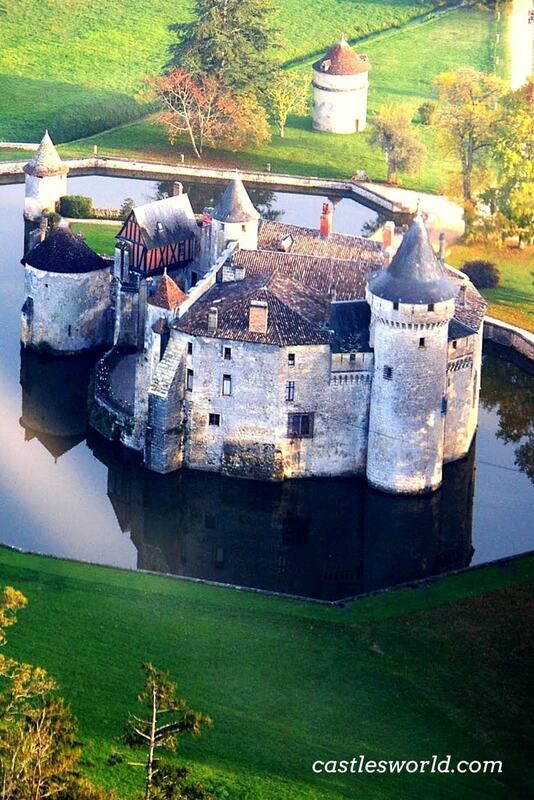 The Castle of la Brede was the home of the great political thinker and philosopher Montesquieu. He was born, lived and wrote many of his works here. The castle was built in the Gothic style in the early 14th century on the site of an earlier fortification. It was first mentioned in 1079 in the tale of a duel between the lord of La Brede and Hernandes, the champion of the army of Navarre. At that time, the castle was probably no more than a wooden fortification built on an artificial mound of earth. The wooden structure was more than likely destroyed after an attack. In 1306, construction started on a much more robust, stone castle. The edifice was designed with a large square courtyard, surrounded by water-filled moats. 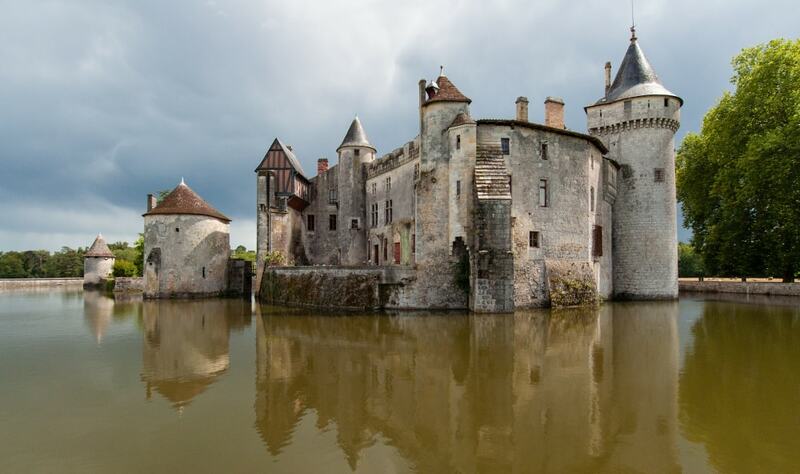 This Gothic-style fortress had his shares of conflicts, especially during the Hundred Years War, when it was damaged by French artillery fire. As a result, the structure was fortified once more and a third moat was created and connected to the previous two. In the late 16th century, major improvements were designed to transform the chateau from a defensive fortress to an elegant residence. The walls surrounding the moats were joined to create a large lake around the castle and only three drawbridges were retained. The castle had reached its final form; from this point on, the external structure would remain largely unchanged and only the interior would change with the times. Montesquieu was particularly fond of Chateau de la Brede and worked to improve the estate. He made few changes to the castle but transformed its surroundings significantly. He installed a modern irrigation system and, following his stay in England, he decided to create a new English garden around the castle. Each generation that followed Montesquieu added artwork and beautiful decorations. Nevertheless, there was a constant determination to keep the reminders of Montesquieu intact. The last owner of the castle, Countess of Chabannes (the great-granddaughter of Montesquieu) died in 2004 leaving the estate to a Foundation named after her. The castle has since become a place of cultural interest and a tourist attraction; among others, visitors can admire Montesquieu's library and bedroom, both preserved as they were in the 18th century.